All through the Known World, the stories are told again and again, by pirate captains and boasting merchant lords: a ferocious sea monster is stalking the trade lanes, and no vessel is safe. The call goes out for a band of heroes willing to dare the impossible: to slay a leviathan of the murky deeps. Are you and your companions the heroes that can bring back the head of the sea dragon? Or will you perish like those before you, adrift on the unforgiving sea? An adventure of exploration, courage and cunning, Isle of the Sea Drake will challenge characters with savage natives, the walking dead, gold-crazed pirates, a sea dragon, and an ancient mystery from beyond the stars. When heroes dare the sea dragon, only the most courageous will survive! 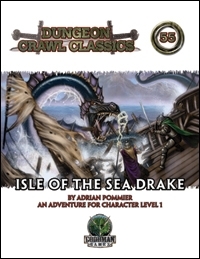 Isle of the Sea Drake includes a full-color double-sided poster map depicting the area of the adventure. This world-neutral adventure can be used alone or to launch a campaign in the epic fantasy world of Áereth. It just went up at RPG Now. Grab a Copy! John Wick () is finishing up his latest game, Houses of the Blooded. 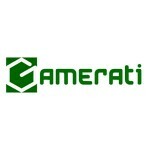 At the same time, he’s launched a game design video blog on YouTube. John’s no stranger to game design, or design journals. In 2000, John released the self-published Orkworld. During development, he wrote a weekly design blog on the Gaming Outpost website. It was very insightful, and I’m glad to see he’s doing something similar with Houses. (1) What would you like to know about? Do you want to know how to design an adventure? Are you interested in world creation? As you an aspiring novelist, or do you want to know what one must do to make a living (ha) as a freelancer? (2) Who would you like to hear this advice from? Who’s got the chops, in your book? Name those people to whom, if they were writing about the subjects above, you would pay attention. I’ve been meaning to take the 24 Hour Challenge for some time. I recently decided I’d waited too long and decided to give it a go. I sat down and started pondering what I wanted to do at 0900 hrs. Come 1030 hrs I came across a nifty idea I wanted to explore, so I started writing. Two pages into my rough rough draft, life came crashing into my writing bubble. I never got to finish the project. Since the point of the exercise is to complete the game’s design within 24 hours, I’ve decided to leave it where it was when I dropped it. And there’s no point in keeping it to myself, so if you want to take a look, here it is: One Day RPG. Fuzzy Math in DuPont, WA?